http:/ This video is so beautiful. Matt G video did such an amazing job highlighting their wedding. Welcome to owenfarm.com! We are working on updating our website, please bear with us during this transition! In the meantime please check out our facebook and instagram! 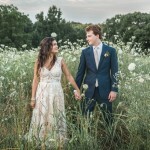 Check out Jake Worthington’s latest video for “Just Keep Falling in Love” filmed at the Owen Farm Middle Tennessee Wedding Venue. 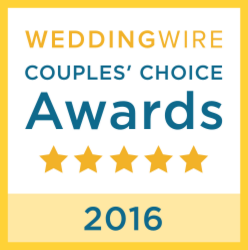 Thank you for your interest in Owen Farm Middle Tennessee Wedding Venue! We are confident that we can make your special day perfect. Our farm is located in Chapmansboro, TN, on the bluffs of the Cumberland River west of Nashville. Overlooking Sycamore Creek, our farm offers one of the most breathtaking views in Cheatham County. In regards to wedding packages Owen Farm offers one all inclusive package that includes the wedding ceremony site, the reception area, and tables and chairs for 200 guests (additional seating available). Also included in the package is our rustic family farmhouse which will be available to you for your entire wedding weekend. We also offer a catering package for your big day or you may choose your own. We know that every couple is different, for some, it is more stressful to worry about the catering and decorating on their own, and for others, it is more stressful to have someone else do it for them. We want to help make this experience at Owen Farm your most memorable. A brief description cannot do our farm justice, so we encourage you to come out and visit soon! To schedule a visit contact us at (615) 642-0294 or simply send us an email. Alternatively, use our contact page to learn more. Let us help with your wedding. Owen Farm is the most unique venue in Middle Tennessee and we have a video to prove it! Give us a call today 615-642-0294 to start planning your perfect wedding.